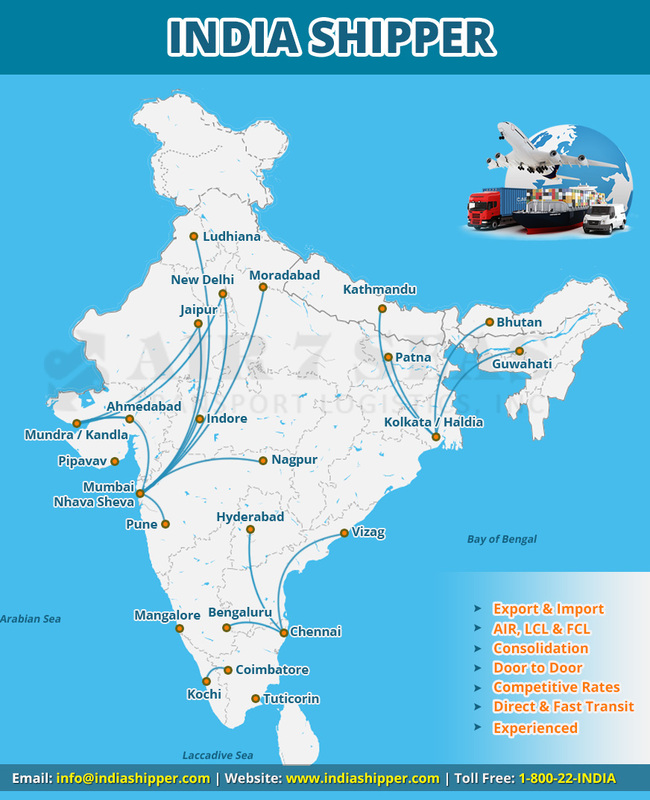 There are number of major international cargo shipping ports available in India. If any customer is interested in moving overseas to India, it may be worth to use our transporting services. Our door to door international services start with packing, loading, trucking, storage, transporting, crating, air & ocean freight, customs clearance, door delivery, unloading, unpacking & removal of wastages. Whatever the items customer need they can transport whether it may be their entire house or just a few goods, whether the customer might have self pack or they want us to pack, whether the customer want storage in us or India; we have the experts for the package. We have some classified services. Use strategic consolidation hubs in Asia and India. 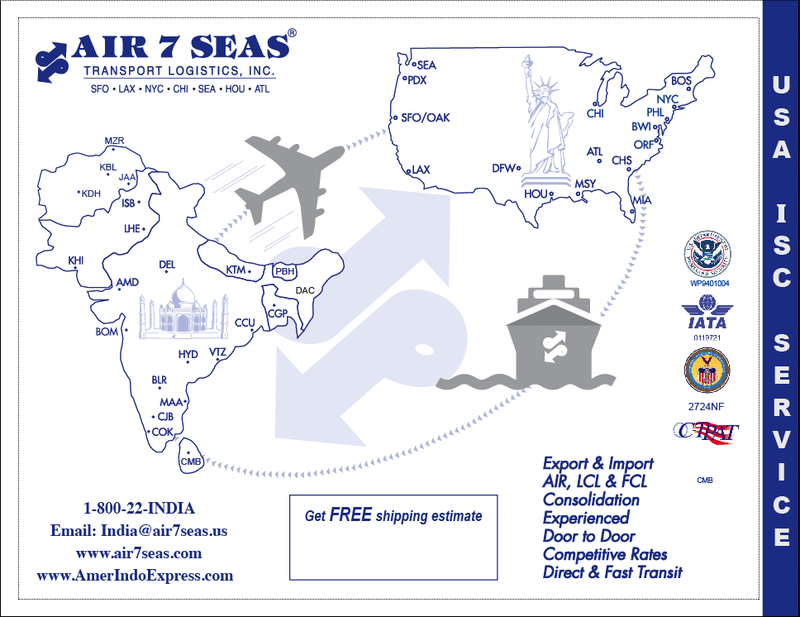 Expedite customer's shipments with a sea-air services combination. Reliability and fast transit times. Customer needs an air freight service provider with high performance standards and the flexibility to meet customer's changing needs. Customer's air freight requirements are confidence and reliability with our air freight services. Our primary responsibility is to ship customer's freight on time and customer's destination. Safety of customer's freight is also most important for us, we take most care to all freights that do not meet any damage in forwarding process. We use advanced, online technology to track customer's freight movements in real time. Advanced tracking & reporting options. Simplify customer's transportation and freight services with a single provider. There are some regulations in shipping to India. Indian residents or foreign nationals, anybody can ship their used goods or some personal items to India. Customer can ship professional equipments to India to provide the Indian customs officials with evidence and/or certificates that prove their qualifications in the profession. Customers are allowed to ship limited amounts of electronic equipments to India. When shipping to India customers are expected to pay duties or import taxes on a variety of goods. There are some things that are not allowed to ship to India as listed.